By: Laundry Bear Games Inc.
Three months ago, the only grandparent I ever knew passed away and, even though she lived close to me, she was buried abroad. As someone who’s bad at taking spontaneous trips, I made the poor decision not to attend her funeral. Without that closure, my brain hasn’t fully acknowledged her passing and I also haven’t truly mourned. 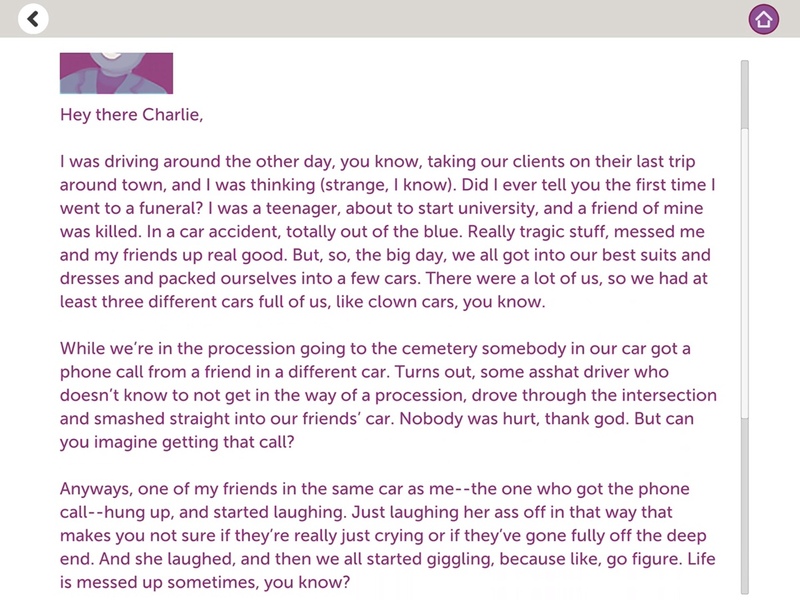 So I understand firsthand how important it is for people to have that formal ceremony to say goodbye to loved ones. 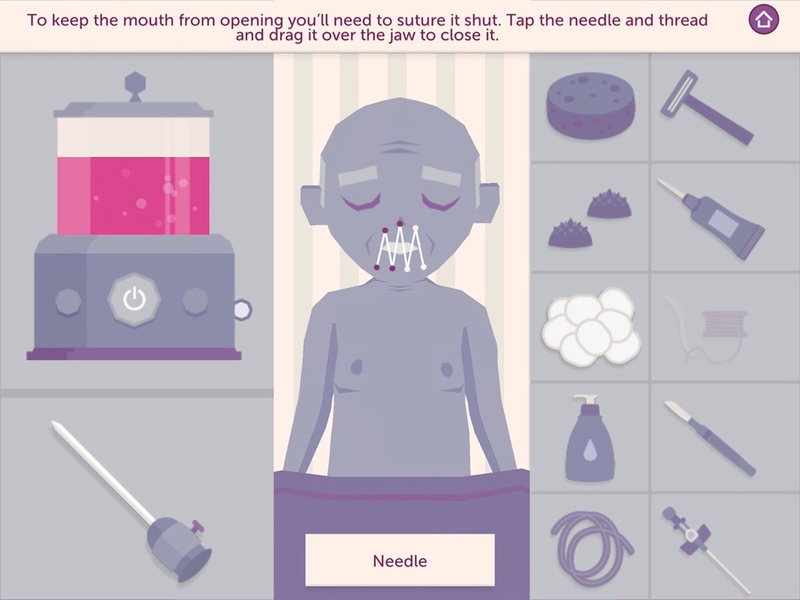 I also don’t usually expect a video game to get me thinking about that, and mortality in general, but A Mortician’s Tale, which just got ported over to iOS, wants you to do just that. It’s a “death-positive” narrative work with smart, witty, and heartfelt writing. While it definitely treads the line between game and not-a-game, I found it to be educational, moving, and well worth experiencing. 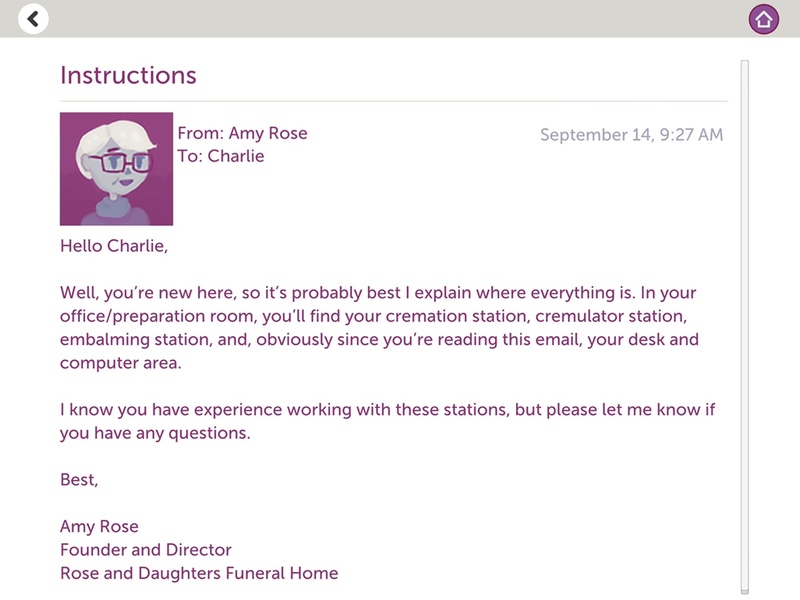 Theres limited interactivity in A Mortician’s Tale, with the entire game taking place inside the Rose and Daughters Funeral Home. 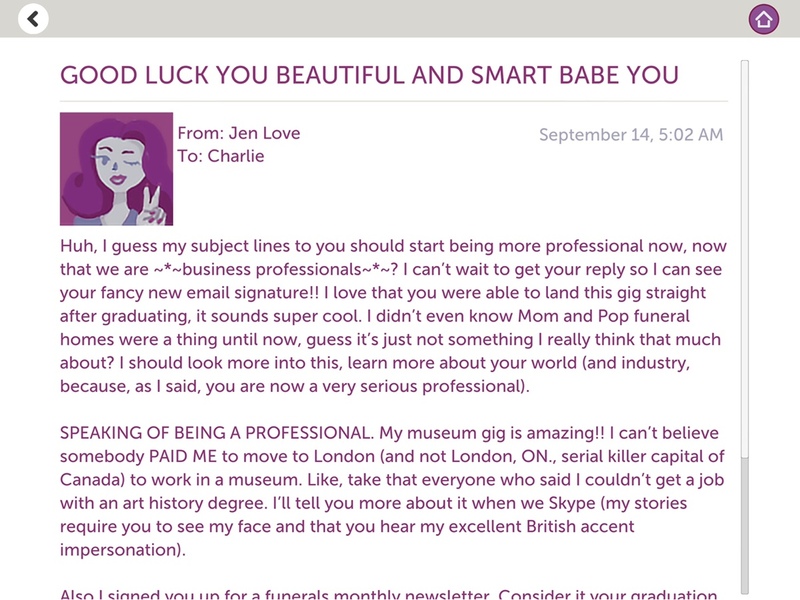 You play as Charlotte, aka Charlie, who just started working at this family-owned business as a mortician. Each day starts with reading your emails. This is how most of the story is told, and I think it works well. Not everything is spelled out for you, but you can easily fill in the blanks. I found this to be an effective way to get to know all the characters without actually conversing with any of them personally. This setup also allows the game to offer educational value that’s optional and fits into the layout well. 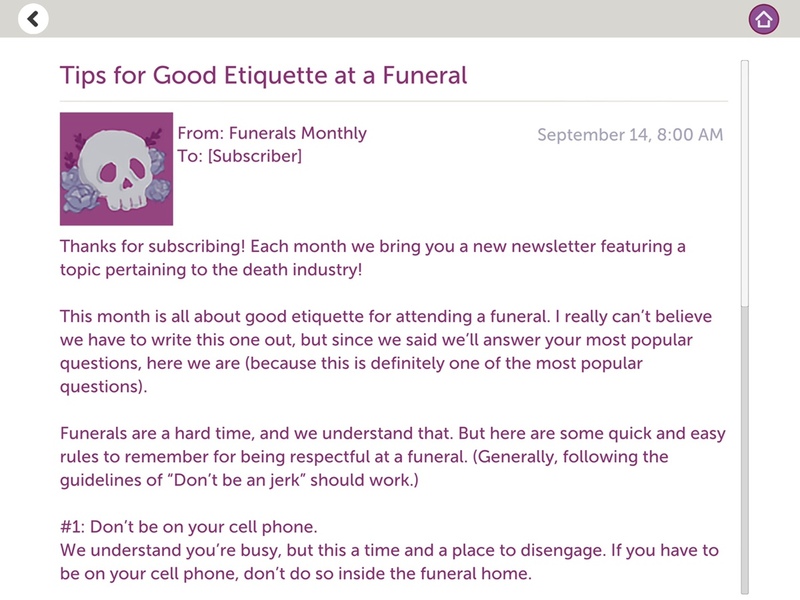 Each time you check your mail, there will be a newsletter from Funerals Monthly on things like good etiquette at a funeral or burial practices of different religions. This information often also ties in with the story, as you may learn about more environmentally-friendly burials just as a customer is requesting one. At one point, there’s even a difficult and meaningful choice in the game, though I don’t want to give it away here. But shortly before that, one of the newsletters fills you in on the details, making the choice extra difficult. One of the emails will always be a request from your boss to fulfill a customer’s wishes on how to prepare their loved one’s body. Once you’re ready, you send off an automated response and can start on the actual work. If a funeral is going to be open casket, you need to clean and embalm the body. If they’re getting cremated instead, there’s much less to do, but it’s still educational. In all cases, the game takes you through the necessary steps, explaining why each one is important. For instance, you need to stuff cotton balls in the deceased’s mouth so it doesn’t collapse and then sew the lips shut. All this is done through touch controls and feels very intimate. But that’s as interactive as things get, and you’re never in danger of messing up. The game doesn’t allow you to do anything out of order and there’s no timer or penalty for taking too long. This felt a little oversimplified to me. But it might be by necessity, as I think gamifying that too much would drown out the message. I’m also very queasy and barely even made it through high school biology class, so I’m not sure how I would have handled a game like this with more realistic graphics and more immersion in the process. Once you’ve finished cremating or preparing the body, it’s time for the funeral. Again, interaction is limited. You can listen in on people’s conversations, but that’s all. I think some dialog options would have been welcome here as a way to show what you’ve learned so far, but also in order to feel more like a participant than a viewer. The funerals were perhaps the weakest part of the game for me, as I saw no reason to linger. I wish I could have felt something for the deceased and their families the same way I did for my colleagues I got to know through email. I’m not sure exactly what could have been done differently, but something felt lacking here. As the story progresses, a villain is introduced, and we get to see how capitalism and corporatism affects the funeral industry. This family-owned funeral home that tries to put their customers first is threatened by a big international chain that only cares about profits. It’s a depressing but eye-opening view into what happens when grief is exploited and people are taken advantage of in their most vulnerable moments. But it also offers some light at the end of the tunnel, hope for those who want to make a difference. 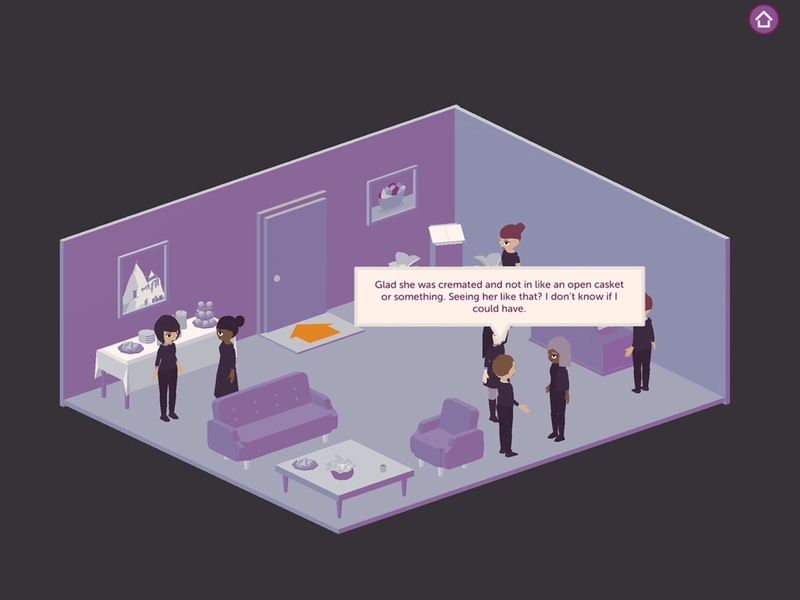 Even though the game is specifically about the funeral business, it’s not hard to draw parallels to other industries, where efficiency and profit is valued over humanity. The game definitely gives you a lot to chew on. Oh, and f**k Chad. Chad is the worst. 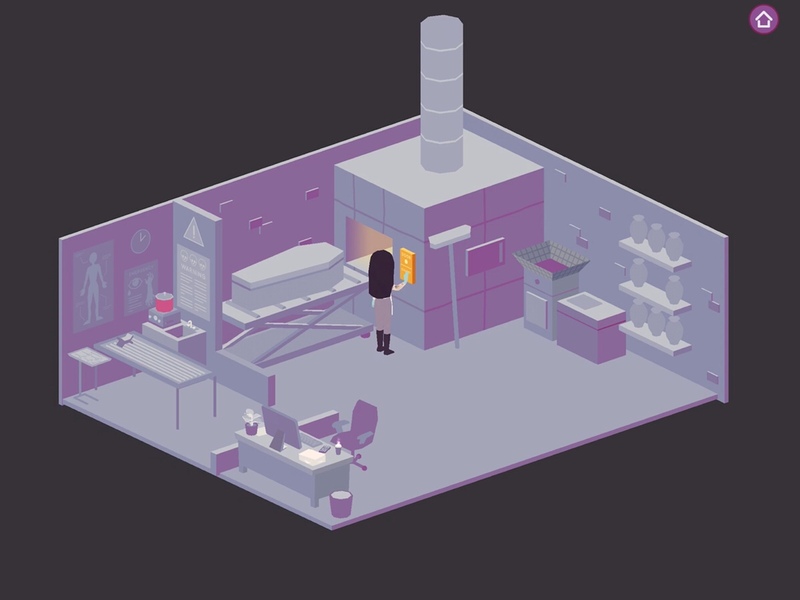 If you don’t mind spending a few bucks on a narrative-driven game with limited interaction, A Mortician’s Tale is a piece of art worth experiencing. There are probably ways it could have made you feel more involved, but in some instances that may have also cheapened the experience and the message. It might not be everything it could have been, but it’s still an important work and I’m glad it exists. I came away from it feeling informed without being preached to. iOS is also the best way to experience it, especially if you have an iPad. It’s cheaper than on PC and more intimate. 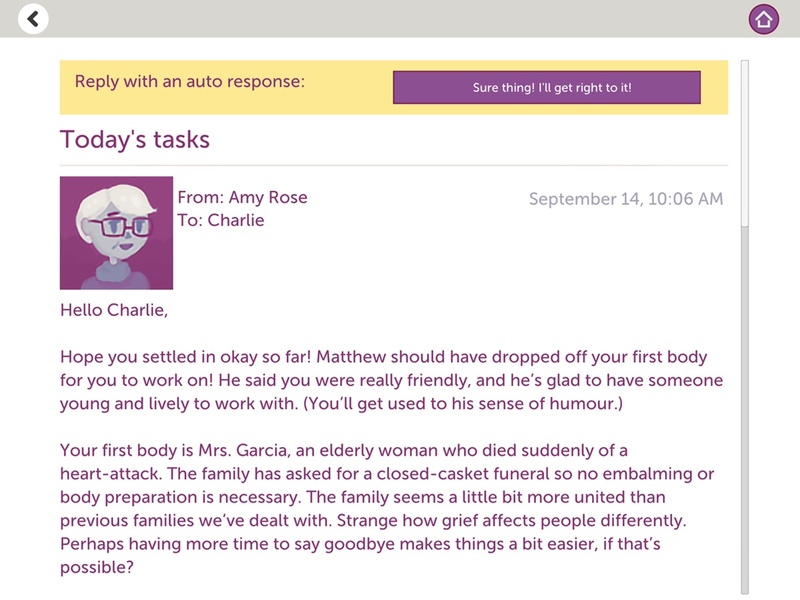 So if you’re looking for a short but meaningful narrative game, download A Mortician’s Tale and delve into a death-positive experience.